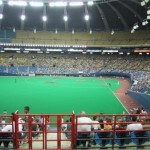 Since it opened in 1977 as a baseball stadium, Olympic Stadium became one of the worst stadiums in the sport. 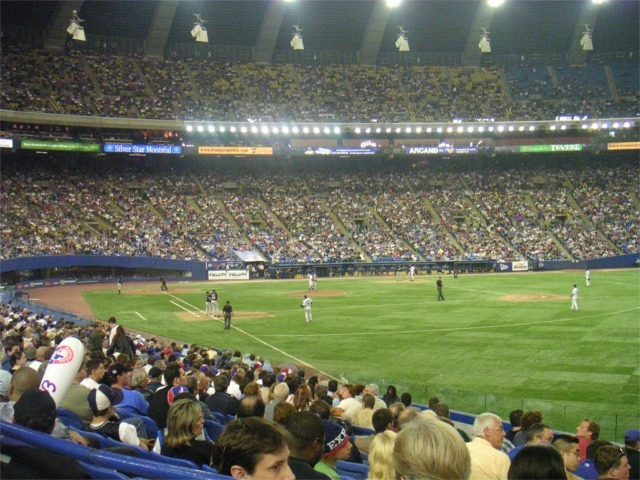 Professional baseball in Montreal dates back to 1928 when the Montreal Royals were part of the International League. From 1939 until 1960 the Royals were the Triple A affiliate of the Brooklyn Dodgers. 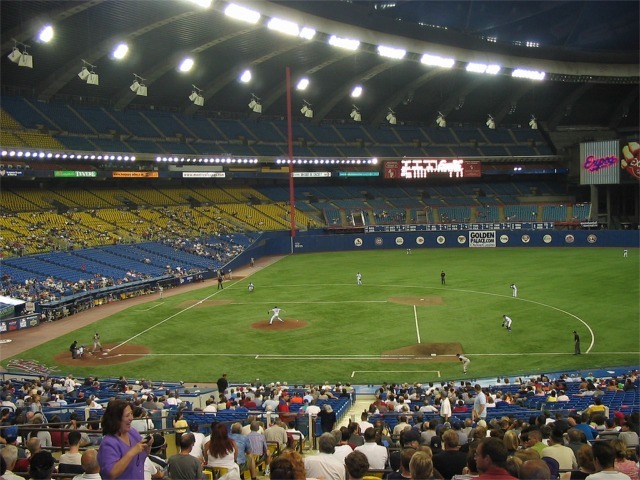 The Dodgers dropped their affiliation with Montreal after the 1960 season and the city was without professional baseball. 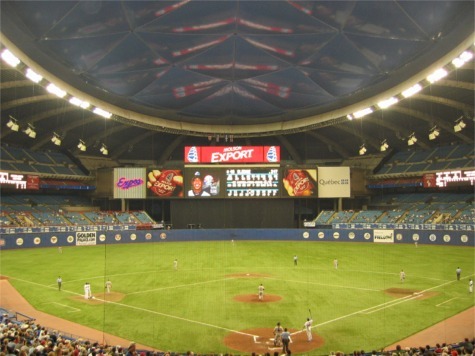 Led by Montreal councilman Jerry Snyder, the city began the quest to obtain a Major League Baseball team. 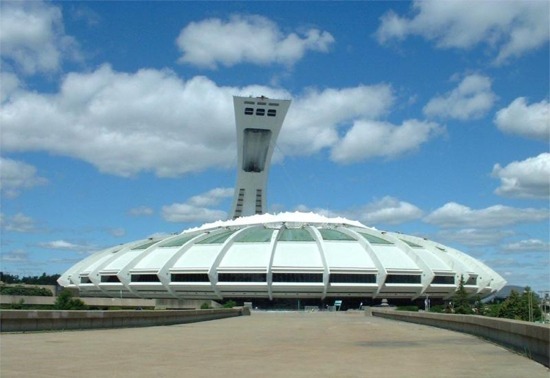 In December 1967 the city was awarded a franchise, the Expos who would begin playing in 1969. 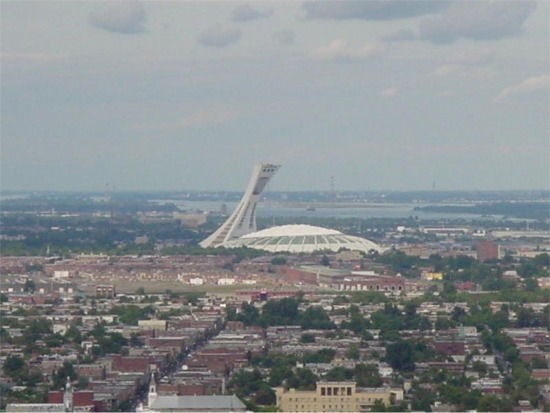 Part of the agreement of awarding the city a franchise was that a new stadium would be constructed. 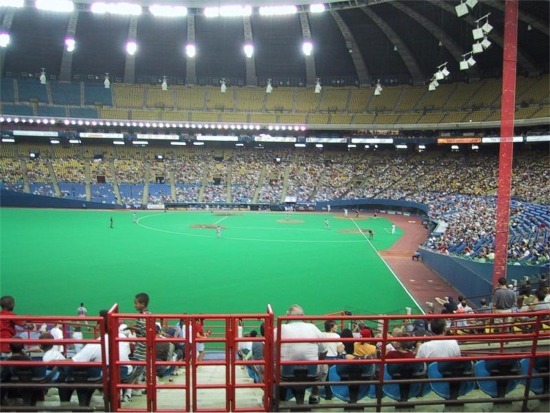 The Expos had to find a temporary stadium to play at before a new stadium was ready. 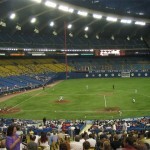 Major League Baseball nearly revoked the franchise because the Expos were unable to find a stadium to play their games at. 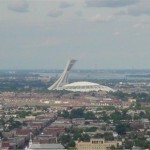 However, they settled for an expanded Jarry Park when they began playing in 1969. 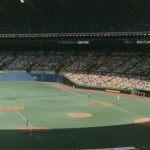 The team had expected to be playing at a new domed stadium by 1972. Because of numerous issues this did not happen. 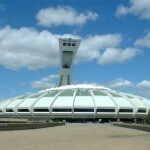 In May 1970 the City of Montreal was awarded the 1976 Summer Olympics. 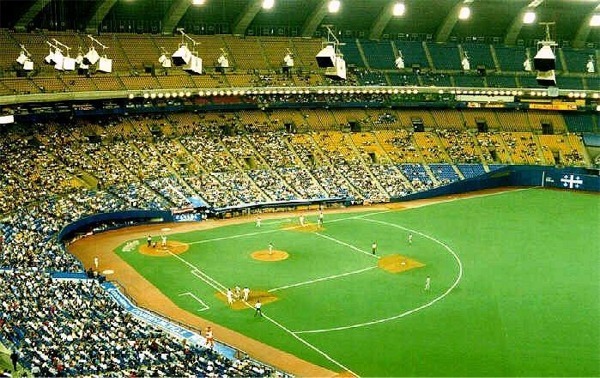 This led to the construction of a new stadium that would be used for the Olympics and then the Expos. 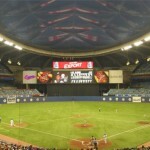 The new stadium was named Olympic Stadium and became the first to have a retractable roof. 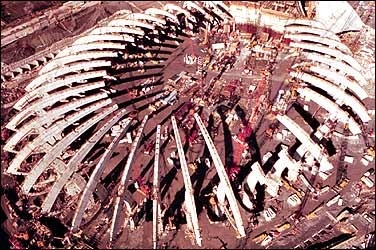 Because of construction delays Olympic Stadium opened unfinished for the Olympics. The retractable roof was unfinished because a 522 foot hoisting tower next to the stadium was only a quarter of its planned height. The retractable fabric roof that was to be suspended from the tower by cables, also was not in place. However the field, working spaces and spectator areas were complete at the stadium allowing the Olympics to occur. Tony Gwynn’s 3,000 hit on August 6, 1999. Pete Rose’s 4,000 hit on April 13, 1984. Vladamir Guerrero’s 31 game hitting streak in 1999. Hall of Famer Andre Dawson from 1976-86. 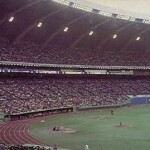 The Expos played their first game at Olympic Stadium on April 15, 1977. 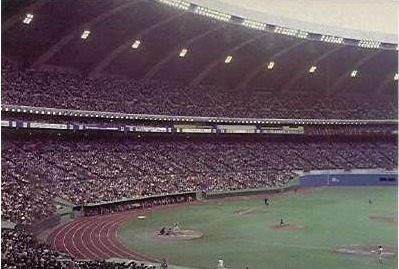 Over 57,592 fans filled the stadium to see the Expos on opening day. 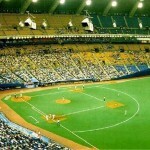 Without the retractable roof, an opening smaller than the playing field was present from 1977 to 1986. 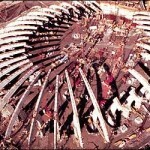 Finally, in 1988 the tower was completed and the roof was added. However there were many problems with it. Hoisted by 26 steel cables, the enormous fabric roof was suppose to fold into the adjacent leaning tower, much like a giant umbrella, but it did not. The Kevlar membrane roof cost $700,000 in annual upkeep. The roof was orange inside and took 45 minutes to open. It remained closed until 1997 when it was removed. 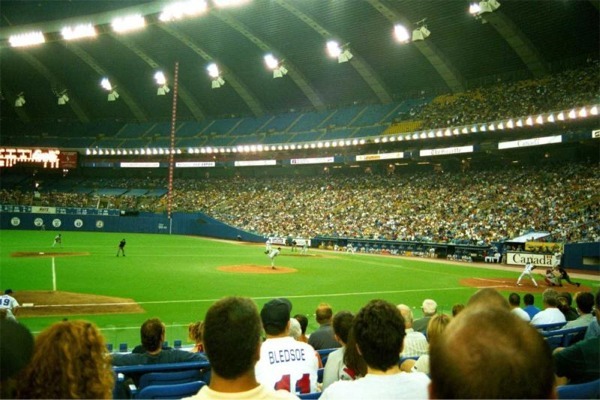 The Expos played the 1998 season under the weather as the dome roof was replaced for the 1999 season. However it was not retractable. 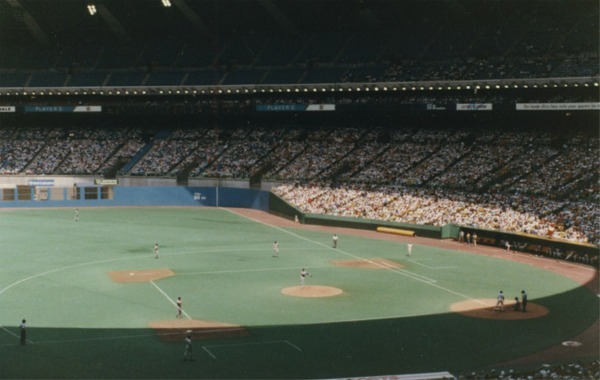 In 1991, the stadium was remodeled. The seating capacity was reduced to 46,500 and the installation of new modern scoreboards and new retractable stands were added so football could be played at the stadium. 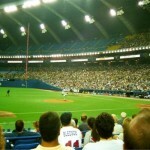 During the 1990s, the Expos pushed for a new ballpark to be built in downtown Montreal. After many attempts, the project to build a new ballpark never materialized. 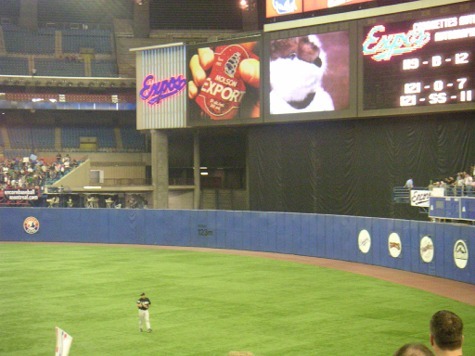 In 2002, the Expos were mentioned as a possible contraction candidate and many fans thought the 2002 season would be the last year that the Expos would play in Montreal after MLB purchased the club. 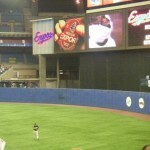 In an effort to increase team revenues, the Expos played 22 games in Puerto Rico during the 2003 and 2004 seasons. 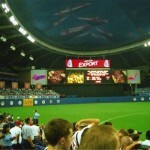 The 2004 season was the last season the Expos played at Olympic Stadium. 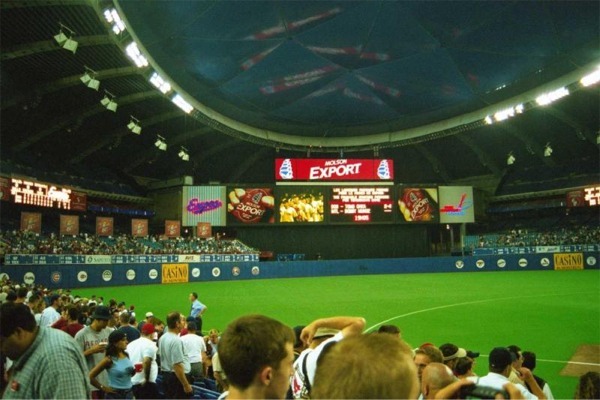 The team played its last game at Olympic Stadium on September 29, 2004. The team moved to Washington, D.C. and RFK Stadium for the 2005 season and is now known as the Washington Nationals. Today, Olympic Stadium remains standing. It is used for a variety of events. 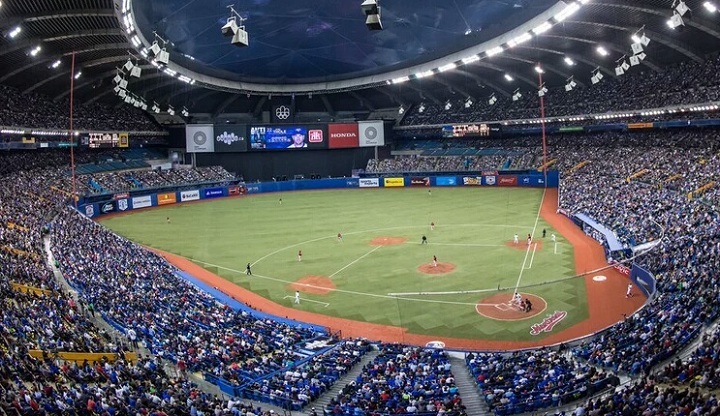 Major League Baseball returned to Montreal in 2014 when the Toronto Blue Jays played two exhibition games before the start of the season. 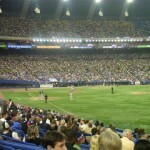 Both games attracted nearly 100,000 fans leading to speculation that baseball could return to Montreal in the future.